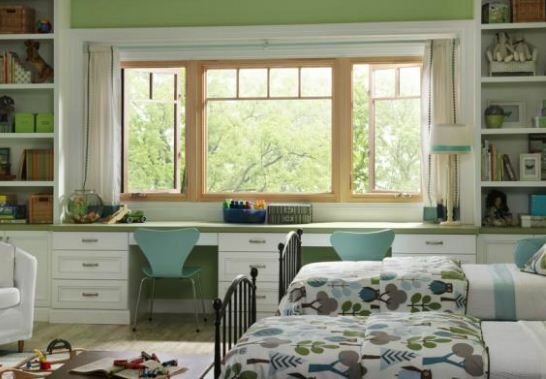 Windows aren’t just about the energy efficiency they create for your home. Nor are they just another design element to consider alongside things like flooring and updated appliances. Windows are unique in their ability to change your home by incorporating nature as an integral element. If you or someone you know is looking into window replacement in or near Fountain Hills, AZ, you should know that there are a variety of solutions that can radically alter the way your home looks and feels. Those solutions include windows made of wood, vinyl, fiberglass, aluminum or wood that’s been clad in either vinyl or aluminum. With options like these, you can replace your windows with something durable and resilient—built to last for several decades. To many, that’s a wise investment. What makes it even better is the difference new windows can make to your home. If we are being completely honest, you may find yourself using your current windows somewhat infrequently. They may not be opening and closing properly. They may look so outdated that your family attempts to keep them hidden with blinds or drapes. That’s a shame, and it shouldn’t happen to your home. If you can’t use your windows regularly and reliably, it is probably time for a change. And that could be an important change. The question for many is whether such a project is worth the time and money. Yes, replacing your windows can add serious value to your home. Yes, replacing your windows can improve your energy efficiency and lower your energy bills. But some families still wonder if they will notice the difference. Whether you are thinking about replacing those obsolete windows or installing new ones, remember the various ways in which windows can change the way your home works. The natural light they allow into your home can make rooms seem more welcoming and even more spacious. Your family and guests may even be more inclined to make use of rooms where natural light is abundantly available. And they may use those rooms in different ways, reading or working without relying upon artificial lighting in the process. Windows also make much better use of your outdoor surroundings. There is no reason to waste the kind of views just about every home enjoys. Those views may include a yard, garden, swimming pool, tree cover, mountain sides, lakes or even the ocean. Making your windows more functional by replacing them or installing altogether new windows will serve as a reminder that your home isn’t isolated from nature. That nature is there for a reason. Take advantage of it. When you begin thinking about the ways in which windows can change your daily life, that investment begins to look better and better. If you are seriously interested in window replacement in the Fountain Hills, AZ, area, consider reaching out to Cougar Windows & Doors. We are perfectly equipped to address your home’s needs while serving your family in a professional fashion. You can visit us at 3820 E Main St Ste 5, Mesa, AZ 85205 or place a phone call to (480) 699-9066.